Award-winning American writer Cornelius Eady is coming to Whitworth University to read from his poetry collection on Saturday, April 16, at 7 p.m. in Weyerhaeuser Hall’s Robinson Teaching Theatre. Eady’s poetry largely focuses on jazz, family life, violence, and questions of race, class and society. The reading will be followed by a short talk and moderated discussion. The event is open to the public, and admission is free. For more information, please call (509) 777-3253. 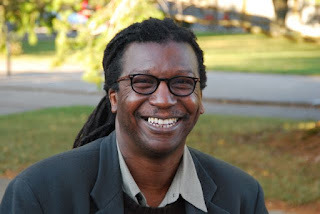 Eady is the author of eight books of poetry, including Hardheaded Weather: New and Selected Poems (Putnam, April 2008). In 2001, his book Brutal Imagination was a finalist for the National Book Award. His second book, Victims of the Latest Dance Craze, won the Lamont Prize from the Academy of American Poets in 1985. His work in theater includes a play, "Brutal Imagination," that won Newsday's Oppenheimer Award in 2002, and the libretto for an opera, "Running Man," which was a finalist for the Pulitzer Prize in Drama in 1999. He currently holds the Miller Chair in Poetry at University of Missouri. In 1996, Eady, with writer Toi Derricotte, co-founded the Cave Canem Foundation, a thriving national organization committed to cultivating the artistic and professional growth of African American poets. Programs include, among others, an annual week-long writing retreat for 54 poets, established in 1996; first-and second-book prizes with prestigious presses; readings and panels; and community-based workshops. Eady’s honors include the Prairie Schooner Strousse Award, a Lila Wallace-Reader’s Digest Award, and fellowships from the Guggenheim Foundation, the National Endowment for the Arts, and the Rockefeller Foundation. Karly Rasmussen, program assistant, Whitworth University, (509) 777-3253 or krasmussen@whitworth.edu.